If your children aren’t at school, this is a great time to go and get some winter sun. Just spending whole days outside in the fresh air, unencumbered by coats and jumpers, is utterly rejuvenating. Your options for getting guaranteed heat, however, are pretty limited if you don’t want to fly for too long. 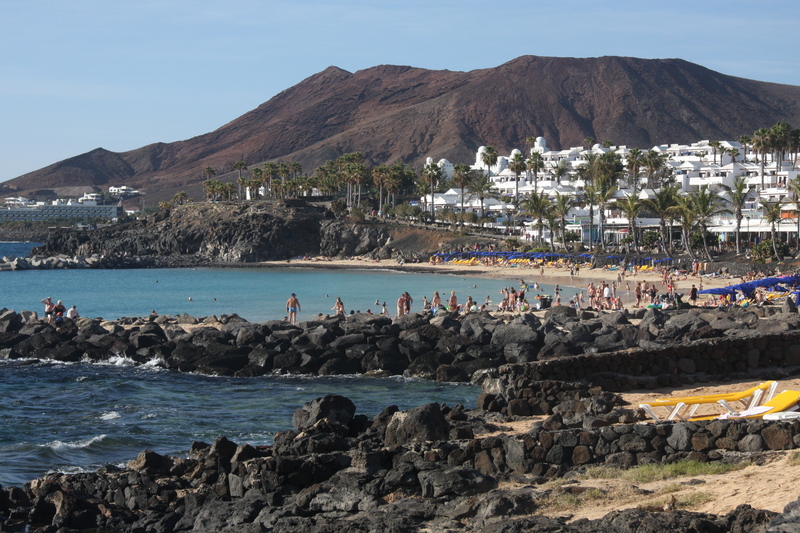 Our first recommendation for this time of year would be Lanzarote. A surprising island, with starkly beautiful scenery, tasteful tourist development and lovely beaches – all just four hours’ flight away and with no time difference! We’ve been with and without children and would happily go every year – Lanzarote has not let us down yet! For somewhere child-friendly to stay, check out our review of the Princess Yaiza hotel. Or try Finca Malvasia if you don’t mind being a short drive away from the beach. If you want to blow the budget, our other recommend is South Africa. No jet lag and overnight flights make the flight surprisingly bearable. And once you’re there, the weather at this time of year is sensational, the scenery mind-blowing and the food and wine unforgettable. We stayed at a wonderful farmhouse in the winelands north of Cape Town, Bartolemeus Klip and long for a return visit.